Photo: Students will make a Star Gazing lap top quilt in the six-week class at New River CTC’s campus in Lewisburg. 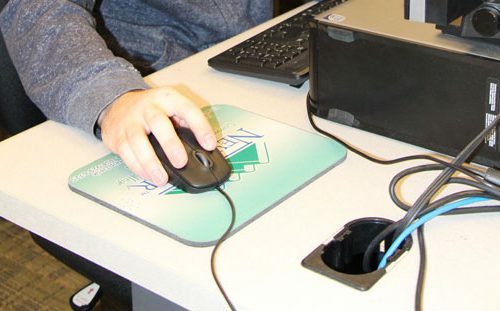 [LEWISBURG, W.Va.] New River Community and Technical College is offering a six-week beginning quilting class starting on Tuesday, Sept. 19, from 10 a.m. to 2 p.m. at the Greenbrier Valley Campus, Lewisburg. 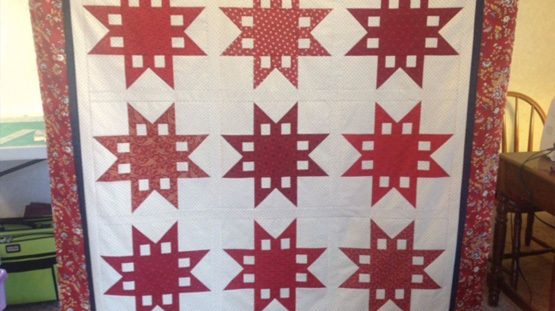 An informational session is planned for Sept. 12 at 10 a.m. to answer questions about the class, show a sample of the quilt top that will be made and allow those interested to register for the class. Students will receive step-by-step instructions on how to complete a quilt top, use a sewing machine, read and understand a pattern, safely use a rotary cutter, square up fabric and cut specific measurements with a ruler. The end product is a lap quilt top with a “Star Gazing” pattern. Pre-registration is recommended by Sept. 5. Tuition for the class is $110 plus the cost of the quilt kit (between $75-100).